The team at Cute Potato is having a wildly busy summer. We’ve opened the doors of our little house to family and friends for most of July and there’s no sign of slowing down in August. With that in mind, we’re looking to our readers for help. 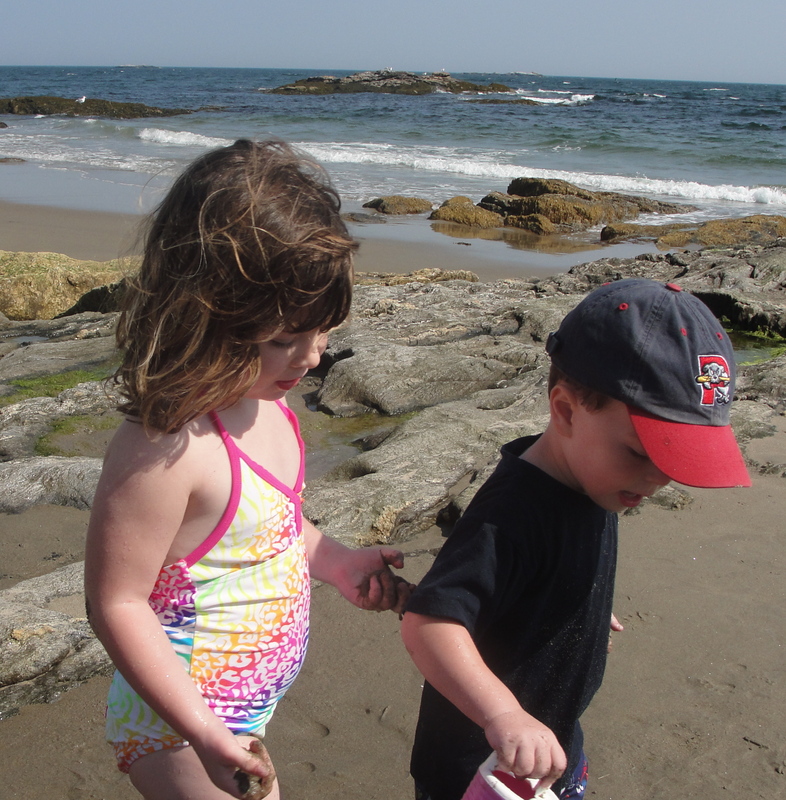 Tell us your family’s favorite Maine beach and you could win a Guest Blogging spot on Cute Potato. Send your stories, pictures and all the wonderful little details that make this particular beach your fave. 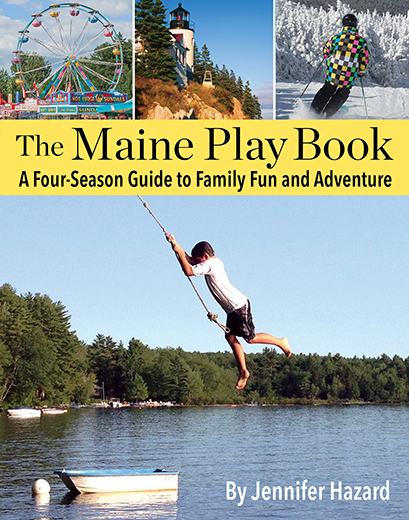 Plus, three lucky winners will receive a free day pass to any Maine State Park. Giveaway ends Wednesday, August 4th. We can’t wait to hear your suggestions! PEaks Kenny State Park is our favorite beach spot. My family and I really enjoy Ogunquit Beach. We enjoy Ferry Beach in Scarborough. It’s a smaller beach with facilities and its very easy to watch the kids swim. Around the bend there is a larger beach with wave pools. When the tide goes out you can walk way out on the sand bar and look for shells. We really like Pemaquid Beach. really nice sand and rarely “packed”. We LOVE Mother’s Beach in Kennebunk-! With four kids, it’s a great spot- small enough to see the kids from end to end but big waves too! Great tide pools, always a friends somewhere to be found and most importantly- porta potty access-WHEW! So my family all are beach lovers – we have visitied quite a few beahces this summer. these are some of my favorites and the reason we liked them. Mt. Vernon Town Beach – grassy beach area on lake next to recreation center which frequently has fun things to join in with. Provides outhouse, picnic tables, benches, sand box, toys. One door down from Mt. Vernon Country Store – great for ice cream or popsicles. Has L shaped dock to jump off and define shallower area. Has two floats anchored farther out. Great for all ages from infants to adults. All free. Birch Point State Park – Rockland Maine – Great sand beach in sheltered cove. Large gradually sloping shallow swim area with little surf. Spectacular scenery. Has changing rooms and toilets. Charges day fee. I reccommend a state park pass and passport. Passport is fun. Any state park you visit has a page and you get them stamped. Close drive to Owl’s Head Light which is fun to visit and has a spectacular picnic area. Reid State Park – We always run into friends at this ocean beach. It is spectacular visually. We always walk on the ocean side and swim on the lagoon side. Water in the lagoon is warm and still. The beach is guarded. There is a day use fee – again get a park pass and a passport. They have showers, changing rooms and toilets. Town of Rangeley Recreation Beach – Nice scenery, large dock with low spring board to dive or jump from, playground and picnic area with grills. This one is free. There are guards on duty but my observation is that they are not well supervised and the guards mostly socialize with local teens and do not guard. Watch your kids. Webb Beach in Mt. Blue State Park in Weld – Again day use fee, but avoid this and get a park pass witha passport. Beautiful sand beach on Webb Lake. Large roped in guarded shallow swim area with sandy bottom. Right next spectacular nature center with hands on multisensory Maine nature related exhibits. Nature Center has limited hours. There is an ampitheater with a broad menu of programs. for some reason the program schedule is not on the website so I guess you have to contact the park directly. You can join a Saturday gold panning trip which my kids enjoyed alot. You can drive overr to the other side of the lake and go an a short easy interpreted nature trail with spectacular views even just from the parking lot on Center Hill. This parking lot is a great place to berry pick. More good blue berry picking by the scenic overlook on rte 156 in July. Bring a picnic, pick berries, hike Center Hill, go for a swim to cool off, go gold panning in the Swift River, go home = great day!! If it is open the Weld Historical Society Museum on rte 156 is also great. So long post but I hope people share our family’s enthusiasm.